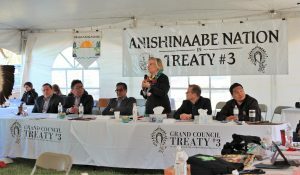 Obashkaandagaang, Treaty #3, ON, CA. 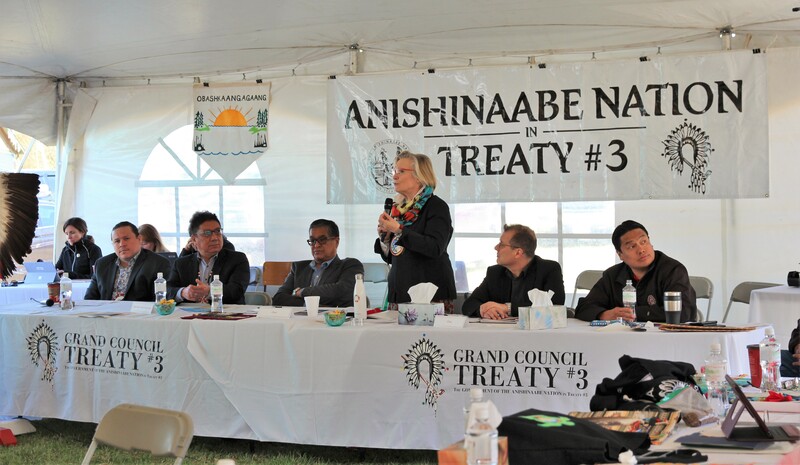 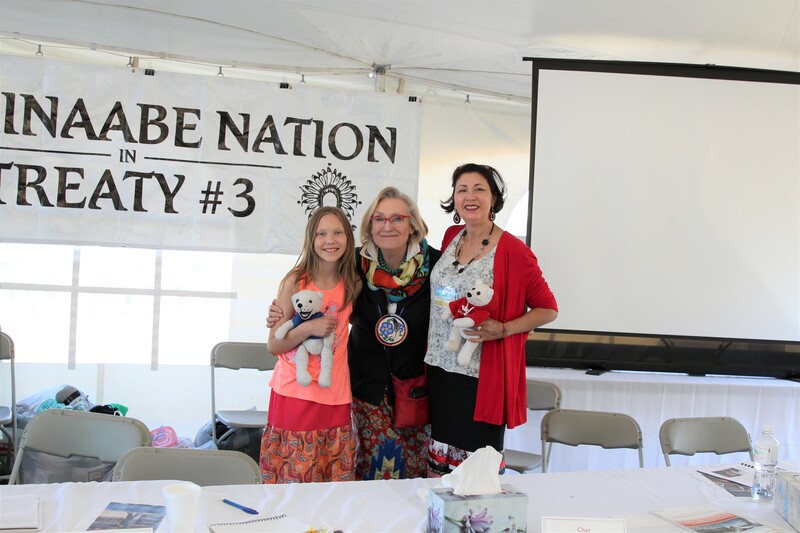 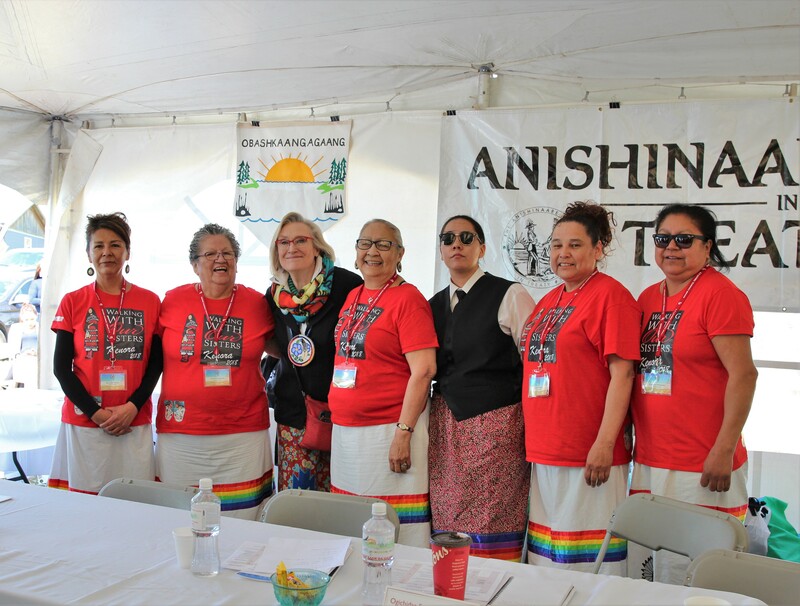 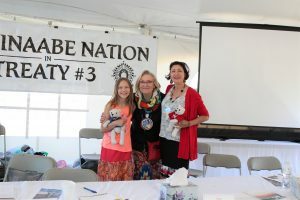 – On Wednesday May 16th at the Treaty #3 National Assembly, the Honourable Carolyn Bennett addressed leadership, elders and members of the Anishinaabe Nation of Treaty #3. Minister Bennett’s address centered on reimaging what Canada will look like as we move forward in this time of reconciliation, and the Crown’s current endeavour of “pulling First Nations out from under the Indian Act”. This undertaking includes creating a legal framework that honours the spirit and intent of the treaties and the inherent rights of individuals and First Nations communities, which will ultimately result in the self-governance and self-determination of First Nations. 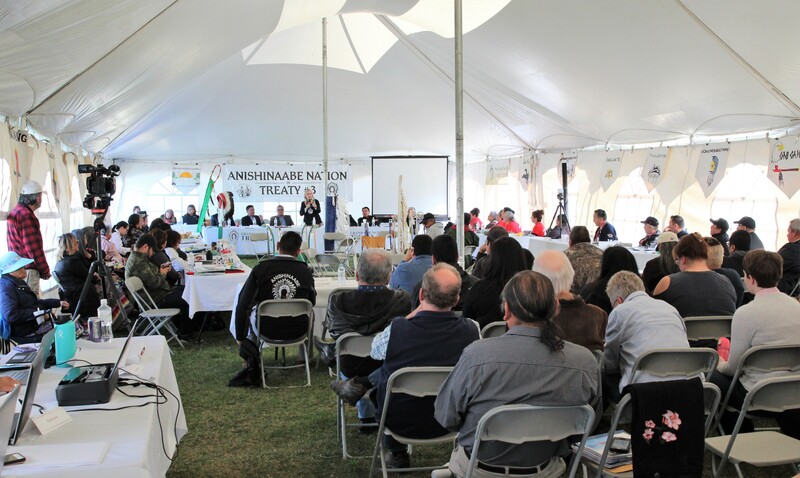 This framework would put into practice each article of the United Nations Declaration of Rights of Indigenous Peoples and the Calls to Action from Canada’s Truth and Reconciliation Commission. Minister Bennett acknowledged that this conversation of self-governance and self-determination should have taken place 150 years ago. 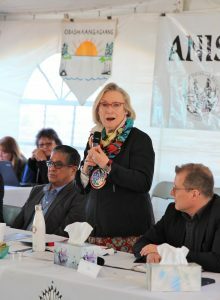 She also acknowledged that reconciliation is a journey and many mistakes will be made along the way, but this is an evolving process that requires respectful collaboration between First Nations and the Government of Canada. 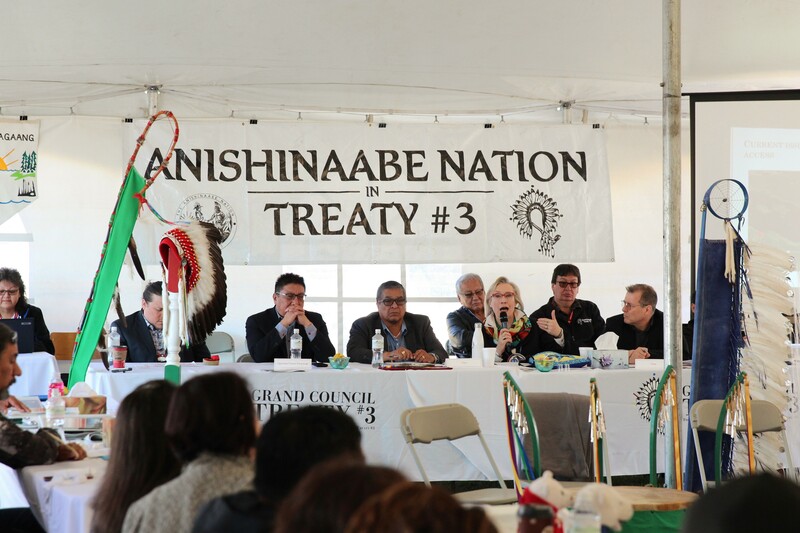 The Treaty #3 National Assembly provides an opportunity for the Anishinaabe Nation of Treaty #3 to come together to discuss pertinent matters including Natural Resources, Health Care, Justice, Education, and the Environment over a 4-day gathering of Chiefs, Elders and Members. 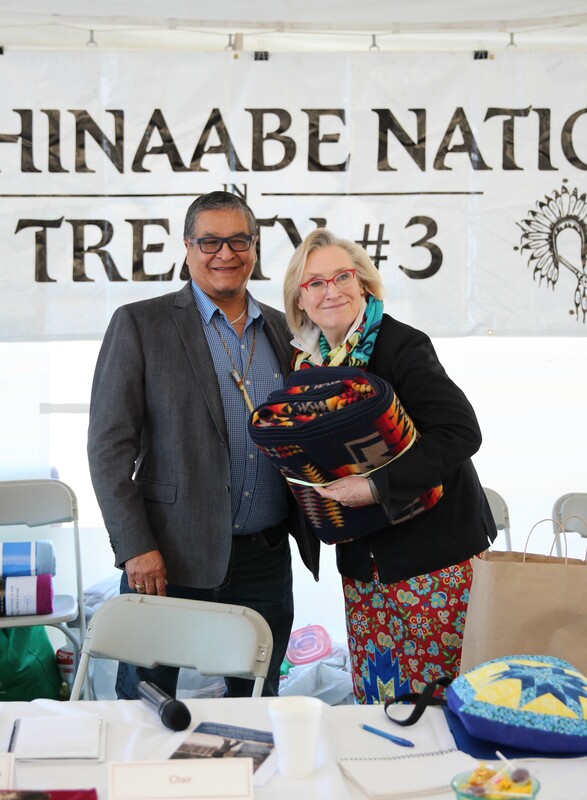 Honoured guests included National Chief Perry Bellegarde, Grand Chief Alvin Fiddler, Grand Chief Jerry Daniels, the Honourable Carolyn Bennett and the Honourable Robert Nault.